InTouch is the leading nutrition support service trusted by dairy and beef farmers in Ireland. For almost 10 years, our nutritionists have been helping farmers to improve animal performance, herd health and farm profitability. InTouch nutritionists are committed to working with Irish farmers to ensure all your herd management goals are achieved efficiently year-round. 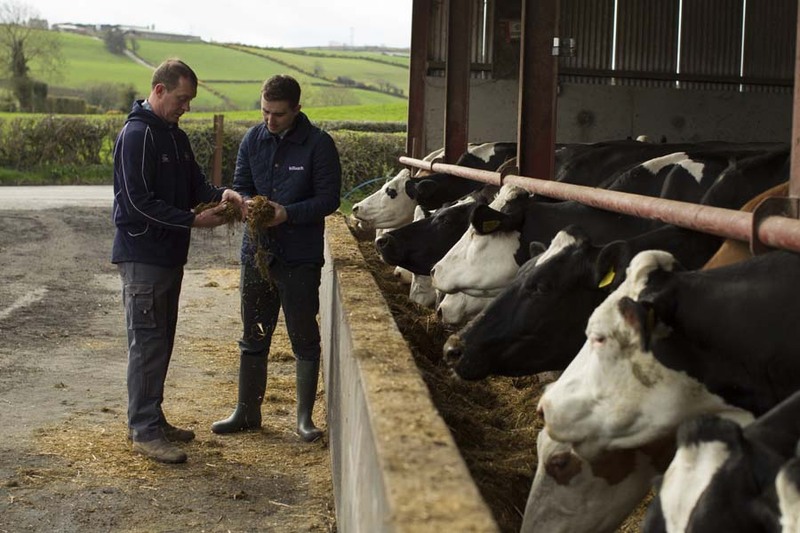 Information gathered from on-farm services — such as body condition scoring, grassland measuring, diet formulation and forage analysis — is utilised to monitor animal performance and create proactive solutions to maximise herd productivity on Irish farms. This is achieved with the assistance of a system that is based around a smart weighing device on the diet feeder that guides the operator through a simple, specifically calculated loading order, quantity and processing time. All the data and information is instantly sent to the producer and nutritionist to be analysed in order to make real-time decisions, helping to ensure each animal gets exactly what it needs every day. With a dedicated team of on-farm nutritionists, supported by a state-of-the-art InTouch support centre located at Alltech’s European Bioscience Centre in Dunboyne, Alltech and KEENAN have the power to deliver expert nutritional solutions, enabling farmers to overcome modern production challenges in the most sustainable and profitable way. Whether it is a grass-based system or an intensive system, InTouch has the technology and nutrition solutions appropriate for your individual farming system. To find out more about how InTouch can help to drive performance on your farm, please call +353 (0)59 910 1320 or email contactintouch@alltech.com.